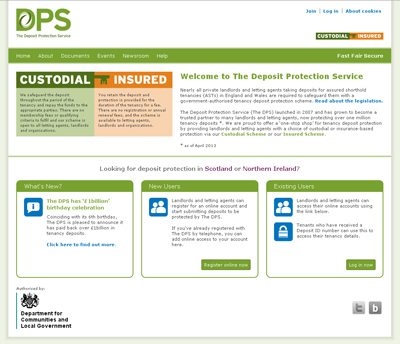 If you’ve visited the DPS website since April 1 you may have noticed some changes to the look of your online account. Basically, The DPS is spring-cleaning its look and feel whilst making a few small updates. You will not notice any change to how you use your account. You may know we launched our Insured Scheme on April 1. Because of that there will be changes to how our Terms and Conditions are displayed. If you are a landlord, when viewing deposit details through your account you will no longer be able to see your tenant’s telephone numbers or email addresses. You will be able to validate if you have the correct details because you will be able to see the last three numbers of any phone number registered, and the first three letters of any email address registered.